Hey little blog, long time no...type. Just wanted you to know that I love you and miss you. I was under some minor stress in the last couple of weeks because I recently married a wonderful man; and although we had the most intimate wedding ever without being called an official elopement, the planning and proceeding of the event were still on the forefront of my mind, distracting me from the playage of video games and the writage of it post-playage. Rather than beg for forgiveness and promise that something great is on the horizon, I thought I would give you a gift. 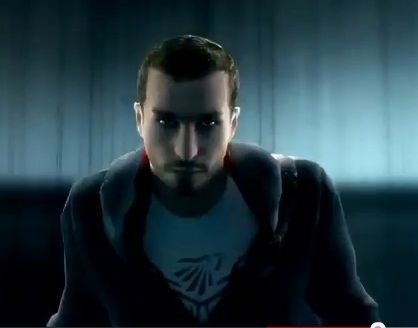 Here is the newest Assassin's Creed Revelations trailer, straight off the Gamescon floor. Personally, I think it is the sweetest thing-it makes me near on twitter with glee just watching the frames switch between Ezio and Altair. November can't come soon enough. I hope you feel the same. Revelations is looking pretty good. I just hope that the story of Altair and Ezio tie up nicely. From what I hear, Desmond's story will likely continue into AC3. And congrats on getting married! Marrying my wife was one of, if not the best, decision that I've ever made in my life. And thank you for the congrats! Marriage seems pretty great so far.